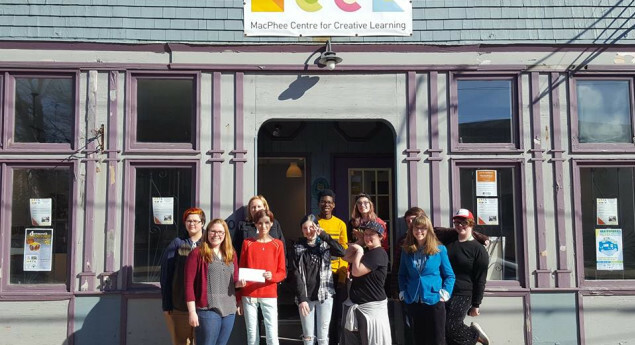 MacPhee Centre for Creative Learning (MCCL) empowers youth by connecting passion with purpose through the arts. Located in downtown Dartmouth, this community hub inspires creativity and confidence by offering unique programs in visual arts, music, videography, creative writing and technology in a safe and inspiring space. By bridging the learning gap in those who are disengaged from traditional education, or with barriers to accessing creative learning, MCCL helps in the development of confidence, lifelong learning skills, an appreciation for the value in giving back to the community and increased potential for employment in our communities. We give NS youth a voice through the arts. MCCL was founded in 2009 as a non-profit training centre for youths who are not thriving in a traditional classroom environment and at risk of dropping out of school and those with barriers to accessing creative learning opportunities. The centre was named in recognition of a generous donation from Al and Mary MacPhee who contributed a quarter of a million dollars to a capital campaign. Inspired by Bill Strickland’s Manchester Bidwell model for youth arts and technology centres across the USA, MCCL seeks to connect youth with passion and purpose. Based in the fully renovated historic Union Protection building at 50 Queen Street in downtown Dartmouth, the centre was designed with direct input from the youth who use the space.